Content syndication from all the major aspects of art and culture. Categories include Magazine (general arts news), Paintings, Design, Photography, Music, Theater, Cinema, Street art, Dance, Architecture, Art marketing and Art Reviews. 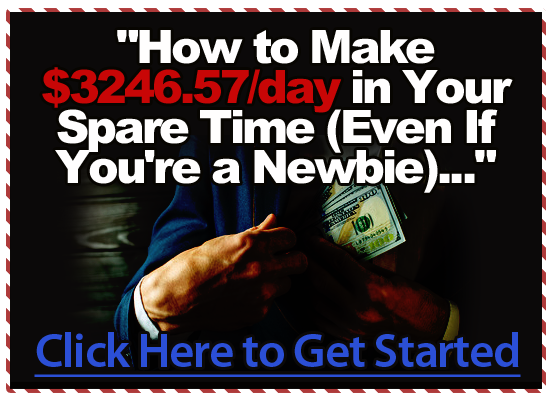 Get terrific SEO and visitors interest all on autopilot. Integrated with five art galleries: take advantage of the new Amazon fine art store to promote original art selling up to 1/2 million dollars and earn huge commissions. Five galleries: Paintings, Mixed Media, Drawings, Art Prints and Fine Art Photographs with original artwork from Chagall, Warhol, Miro’, Banksy, Shepard Fairey, Dali, Lichtenstein, Edward Weston, Ansel Adams and many more! Or sell you own art, the site is e-commerce ready! Outstanding magazine-style layout and superb e-commerce integration with on site cart and 90-days cookies. Includes slideshow, cart widget, lightbox and much more. Outstanding site with high profit potential and multiple uses! The site is fully functional, click pic to view. MAKE SURE to visit the site thoroughly! Content syndication from all the major aspects of art and culture: whatever art-related happens, it’s going to be here! Categories include Magazine (general arts news), Paintings, Design, Photography, Music, Theater, Cinema, Street art, Dance, Architecture, Art marketing and Art Reviews. Get terrific SEO and visitors interest all on autopilot. Take advantage of the new Amazon fine art store (here) to promote original art selling up to 1/2 million dollars and earn huge commissions. 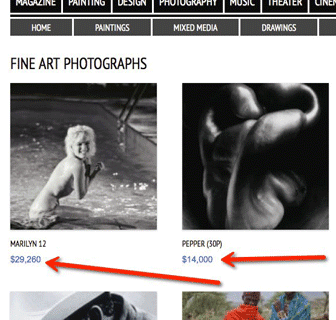 Five categories to promote: Paintings, Mixed Media, Drawings, Art Prints and Fine Art Photographs. Original artwork available includes Chagall, Warhol, Miro’, Banksy, Shepard Fairey, Dali, Lichtenstein, Edward Weston, Ansel Adams and many more! On semi-autopilot (you pick the items to ‘sell’, Amazon does the rest). 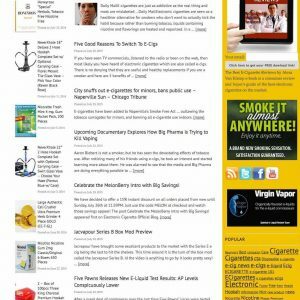 Outstanding magazine-style layout and superb e-commerce integration with on site cart and 90-days cookies. Includes customizable slideshow, cart widget, lightbox and much more. 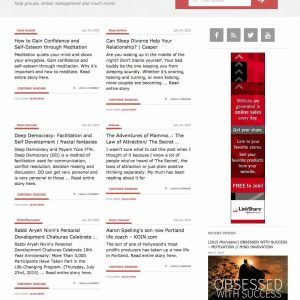 Open articles on site or at the originating site (default), OR/AND post your own content if you are into arts. Promote and get commissions on art for sale at Amazon OR sell your own pieces, the site is ready for any changes. We are big art fans so when designing this site we had a clear idea of what we wanted to achieve. Not only the site syndicates content from all the major art online magazines on the Net, but it comes with a full e-commerce integration taking advantage from the new Amazon fine art store (here) where items for sale go from a few hundreds dollars up to hundreds of thousands. This means that with Amazon Associates paying up to 10% commissions, along with the on-site cart and 90-days cookies, the site profit potential is literally unlimited. 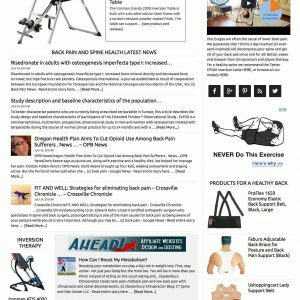 The site is divided in two parts; from the primary menu, and all over the homepage, in easy to read magazine-style layout, we have the syndicated content i.e. articles. This is all automated (as said posts can open on site or at the originating site (as it is now), it is a one-click setting). 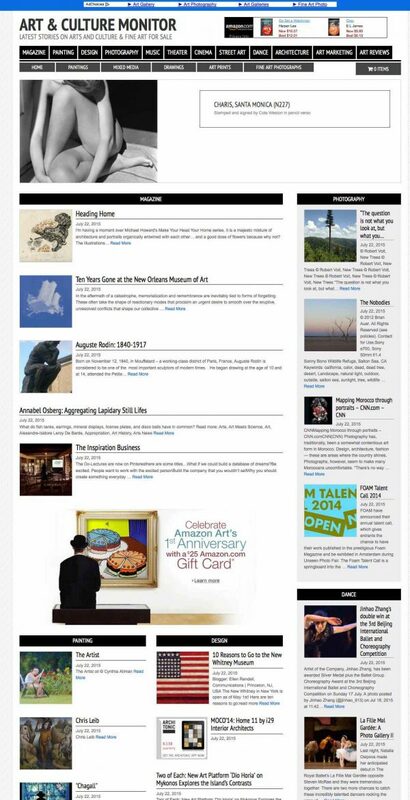 We have used over 135 major sources re:arts & culture news, not just a few artists’ blogs. All posts come with pictures. Obviously since the site has been made with WordPress, it would be dead easy to publish your own posts if you are into arts. Clicking on the secondary menu entries reveals the galleries, i.e. where you show the items for sale (which are promoted from the slideshow as well). These can be items for sale at Amazon, or your own items (if you are an artist/art dealer etc. 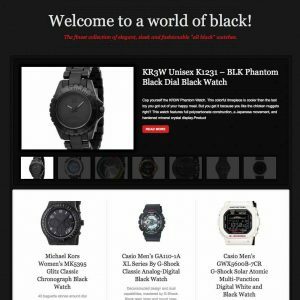 ), since the ecommerce plugin used is WooCommerce, which supports both affiliates and physical products. These items get posted manually, so you can choose what to ‘sell’. You can bulk import, or hand pick from Amazon, or use ASINs for even more accuracy. Just like a real art gallery. We have already imported several items, you can add as many as you want. Once this manual work is done, the rest is automatic. 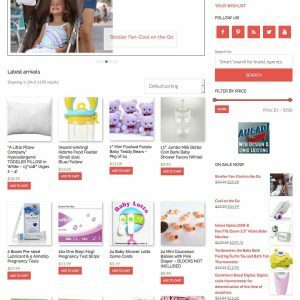 Visitors add the items to the cart and check out at Amazon which takes care of the actual sale and gives you a commission. To help further with monetization, there are also many static adverts. Even the big central banner linking to the Fine Art Store at Amazon is an affiliate ad. 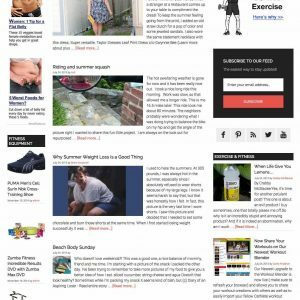 Plus we have Adsense or whatever affiliate program you want for a total of five ads on the homepage. Clicking on any internal page from the first menu reveals a sidebar with even more adverts as per picture on the right. 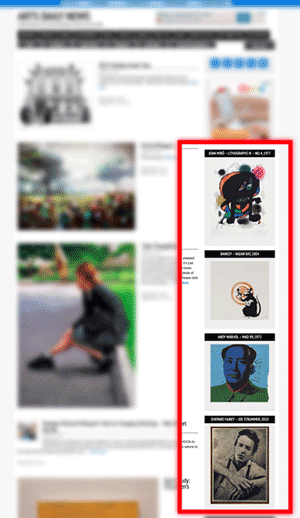 Again these can be any affiliate you want, but click on some of those showing artwork (Andy Warhol, Miro’, Banksy etc.) and notice the price! Obviously you can customize pretty much everything: the sources used to make the content, the update interval, the artwork for sale, the adverts throughout the site, content of the slideshow, your social links etc. 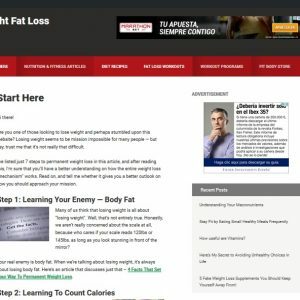 This will make the site unique to you and it is easy thanks to the detailed instructions included. Even though the site is relatively complex, we’ve made it simple to use and maintain, so special technical skills are not required, however you must take into consideration a little work, required if you want to add items to the store. Requirements: if you do NOT host with us make sure SOAP and cURL extensions are installed/enabled on your server (most hosts including ourselves install these by default but ask yours if in doubt because a few don’t).